Boca del Medio is a scuba diving spot on the east site of the Los Roques Archipelago, and features some of the clearest waters in National Park. 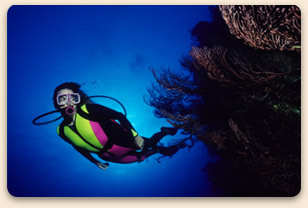 is perfect for scuba diving coral reefs. topography that features vertical walls roughly 25 meters deep that lead to beautiful ocean caves, black coral, and a wide variety of sponges. alongside as you explore this breathtaking cave. estimated to be hundreds of years old. Noronqui, also known as Noronqui Abajo (lower Noronqui) is a marine diving spot about 8 meters deeps where you can swim with Turtles and Tiger Sharks. Tiger fish, Macarel, Batatas, and Barracuas. and is the home of sponges with beautiful purple polyps to admire and explore. expert instruction and guidance by certified divers with years of experience diving in the Caribbean waters of Los Roques,Venezuela. 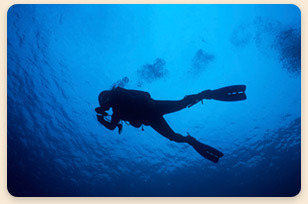 Scuba diving trips typically range from $35 and up per person, per dive, and the price includes the dive permits, tank, and lead.